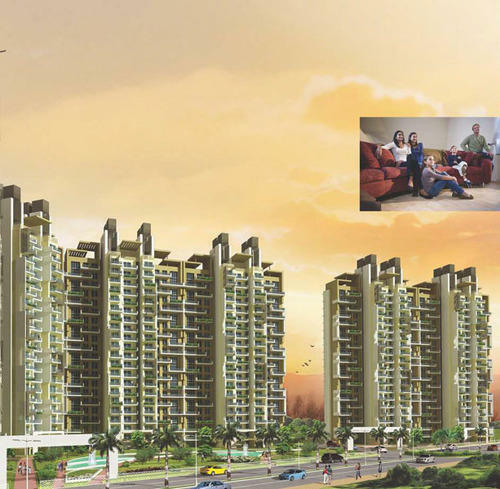 "The Coralwood" project is located in sector 84, Gurgaon. Spread across a sprawling expanse of more than 15 acres. "The Coralwood" offers a verdant, tranquil environment of comfortable living in the heart of New Gurgaon. It offers an inspiring choice of contemporary and affordable homes. We are glad to inform you, we have "Subvention Payment Plan" option also available in "The Coralwood". We, Manish Properties, have emerged as a guiding star to all those who want to invest in the properties of Gurgaon. Gurgaon, being in a neck-to-neck competition with Delhi in terms of real estate has sufficed the needs of millions who want to invest in properties in NCR. The chief reason behind such huge investments herein is the comparatively low property rates. It is estimated that if one invests in real estate herein now, he is sure to get prolific returns in the years to come. The craze has rapidly swept across the nation and in such a situation the quest of the best properties becomes complicated. We stand for the ultimate relief of the people in such situations. Having commendable exposure in this industry, we have gained an insight into the dynamic state of the demands of the people and the changing phases of real estate. We design perfect solutions for all your needs pertaining to residential, commercial, industrial and agricultural property in Udyog Vihar, Pace City, IMT Manesar, DLF, Shushant Lok and also in other parts of NCR. We deal with commercial and industrial propeties in Gurgaon, Noida, Greater Noida, Bawal, Rewari, Sushant Lok, Udyog Vihar. We are also providing official space for any types of corporate office like Manufacturing company, Trading company, Export House, Processing house, Call Centre etc in Udyog Vihar. We are also authorise real estate agent of Haryana State Industrial Development Corporatation (HSIDC).